Experience clean, crisp tasting water with our mineralclear® technology. Our unique mineralclear® technology filters water over natural minerals for a crisp, refreshing taste. The premium carbon filter is certified to remove 99% of lead, mercury, chlorine (taste and odor) and many other contaminants. It also reduces trace levels of pharmaceuticals. 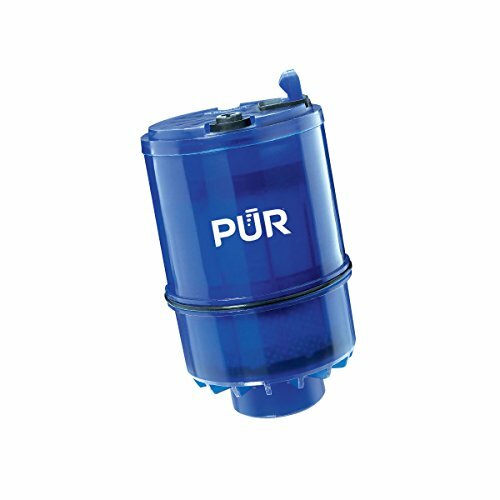 PUR MINERALCLEAR WATER FILTER REPLACEMENT: PUR's faucet filters are certified to reduce over 70 contaminants, including 99% of lead, so you know you are drinking cleaner, great-tasting water. Water is filtered over natural minerals for refreshing taste. FAUCET WATER FILTER: PUR faucet filters provide 100 gallons of filtered water, or 2-3 months of typical use, before you need a replacement. Only PUR faucet filters are certified to reduce contaminants in PUR faucet filter systems.